Just because English isn’t your first language doesn’t mean you should be unable to get into the best MBA programs out there. It’s possible to master the GMAT, scoring well enough to get into some of the top MBA programs, even if you are a non-native English speaker. To do so, however, is going to require some hard work. You’re going to need to work harder than a native English speaker if you want to do well. You’ll need to be more committed about your studies, and you’re going to need to be more systematic, focusing your energies on those areas that are, because English isn’t your first language, your weakest. Know where you’re starting from. Download the official practice GMAT tests, and do a couple of mock GMAT exams. This will help you get an idea of where you’re at, and how much ground you need to cover. It will also help you know which areas to focus on. Master English GMAT Idioms. Idioms are conventional English constructions that don’t follow normal grammatical rules but must be used in a specific way. For example, the phrase “fascinated by” doesn’t follow normal grammatical rules, but it’s still the correct usage of the idiom. Get a list of common GMAT idioms and commit them to memory. Don’t focus only on the verbal section of the GMAT. While chances are pretty good that’s where you’re going to need the most help, you want to do well enough on the quantitative section of the GMAT so that your overall score doesn’t suffer. Don’t study the verbal component to the exclusion of the quantitative, even if you do focus most of your study energy in that area. Study to the test, not your everyday conversations with English speakers. 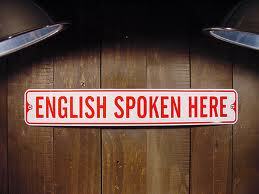 The fact of the matter is that native English speakers often break the rules of the English language. Your casual conversations with native English speakers are going to take a very different form than the verbal component of the GMAT. Try to differentiate strongly between the two. When you’re taking the GMAT, focus on what you know, not intuition. You actually have one advantage over native English speakers. You haven’t had a lifetime of exposure to incorrect usage from various people in your life. Master the rules, memorize the idioms, and then go with what you know on the test, not with what you may feel.